It’s no small task to build an RIA firm from scratch. And while there are some breakaway advisors willing to go it alone, others aren’t even aware of where to start. They also discuss what to expect from life after the launch and address a common concern about the bottom line. That is, how long does it typically take for a breakaway to become cash-flow positive? Matt Sonnen has 20 years of experience in the financial services industry. Prior to founding PFI Advisors, he learned the ins and outs of the wirehouse model at Merrill Lynch in the late 1990s. After leaving Merrill in 2005, he was introduced to the RIA marketplace a few years later when he helped build the infrastructure for Luminous Capital prior to its founding in 2008. 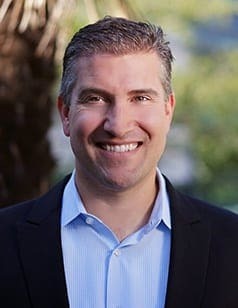 As COO and CCO at Luminous, he navigated the technology and compliance challenges as the firm grew from $1.7 billion in assets to nearly $6 billion in less than five years. Luminous Capital sold to First Republic Bank for more than $100 million in 2012, after which Matt headed to Focus Financial Partners in New York City. There, he helped breakaway teams and recently-formed RIAs develop strategic initiatives to benefit from best practices, streamline operations, and improve efficiency before heading back to California to launch PFI Advisors with his wife and business partner.